With so much uncertainty over Britain’s future in Europe, now is an opportune moment to reflect on the golfing delights Continental Europe has to offer. From sun-soaked fairways in Spain, to a spectacular cliffy resort in Bulgaria, here are five of the best golf courses in Europe. The course at Valderrama, near Sotogrande on Spain’s Costa Del Sol, is perhaps the most famous of all Continental European tracks. Designed by Robert Trent Jones in the mid-1970s, the layout came to prominence after being acquired by industrialist Jaime Ortiz-Patino in 1985. Investing a huge amount of money, he recalled Trent Jones and the layout was dramatically altered and greatly improved. Valderrama has since played host to numerous professional tournaments. Most famously, the 1997 Ryder Cup in which Seve captained the home side to a memorable victory. In 2014, the King of Spain granted Valderrama Royal status. The course is a testing one with a particularly daunting closing stretch. Holes wind between over 2,000 cork trees and accuracy is at a premium from the tee. It’s a real shot-maker’s course, with holes asking the player to shape the ball and find the right sides of the fairways to approach the challenging green complexes. It’s a hugely memorable layout, always maintained in fine condition and it should be on all golfers’ bucket lists. This beautiful course can be found in the romantic Loire Valley some 20 miles from Orleans. Set through attractive woodland, Les Bordes was designed by American course architect Robert von Hagge. It has an American feel, but this is intertwined with French styling. The subtle layout and high-quality conditioning at Les Bordes is simply second to none. There’s a great feeling of peace and seclusion on the fairways as they weave through the trees, over and past a selection of attractive water hazards. The green complexes are superbly designed, the fairways well-shaped and pleasantly firm and the rough is suitably punishing. In short, this is simply an excellent test of golf, and a fairly brutal one at that. There’s a board in the clubhouse which records the names of anyone who manages to break 80 from the back tees. The current course record is held by Jean Van de Velde, at just one-under-par. Monte Rei’s rise to prominence has been remarkably swift since it opened for play in September 2007. The course is surrounded by beautiful countryside between the Serra do Caldeirão mountains and the Atlantic Ocean in the Eastern Algarve. It is one of the few Jack Nicklaus “Signature” courses in Europe and the first in Portugal. Using the very highest standards of construction, Nicklaus has created a wonderful layout. It blends seamlessly into the naturally rolling terrain and features a proliferation of water hazards and superb bunkering. The course is unique in terms of setting and topography, the design is of the highest quality and the service provided at the club is world class. This combination inevitably makes for a rather special golfing destination. Bro Hoff Slott is a Robert Trent Jones Jr creation 25 miles north of Stockholm, which opened in 2007. It’s a fabulous course set right on the waterside on a stretch of land which Trent Jones Jr felt was crying out for a golf course. A former host of the Scandinavian Masters on the European Tour, it’s rightly recognised as Sweden’s best course. Always impeccably maintained, everything at Bro Hof Slott is memorable and of the highest quality. The views, surrounds and holes themselves are aesthetically appealing, the challenge posed is suitably testing yet eminently fair, the conditioning is first-rate and the stylish clubhouse offers a hearty welcome and superb dining. It’s the whole package. Thracian Cliffs is an exceptional resort development located along 4,500m of the stunning white Cape Kaliakra cliffs in Bulgaria. This spectacular location allowed Gary Player Design to create a truly outstanding golf course. Eight holes run along the cliff top, and there are unbroken sea views from every hole on the course. 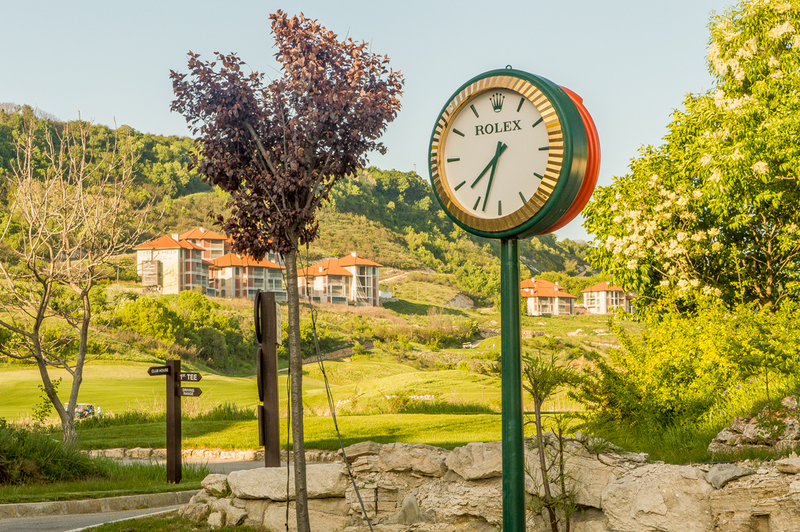 Course designer Gary Player is vocal in his enthusiasm for the site Thracian Cliffs occupies. It truly is a spectacular course, delivering a unique golfing experience. It hosted the 2013 World Match Play Championship won by Graeme McDowell and it’s a layout that has to be played to be believed. It’s safe to say Continental Europe is blessed with an incredible selection of wonderful golf courses. These five are merely a taster of the quality and diversity of layouts on offer, just a short flight from the UK. If you’re planning on playing golf abroad, you need Worldwide Cover to protect yourself against a range of incidents. Find out more about our Worldwide Cover or get an instant online quote with Golf Care today. ← Previous post Golf Care’s Guide To The 2019 Rules Of GolfNext post → Do Tour Players Need To Be Athletes?